Sheila Dorsey Vinton has worked as Executive Director/CEO of the Asian Community & Cultural Center since February 2014. 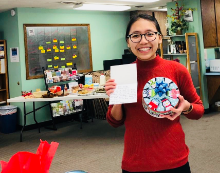 Her background in refugee and immigrant studies and biocultural approaches to health contribute to the success of the Asian Center in developing programs that meet the needs of its clients who come from all over the world to make their home in Lincoln, Nebraska. 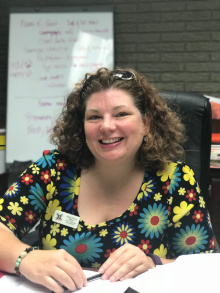 Ms. Vinton enjoys the opportunity to serve the Lincoln community on several boards and steering committees to promote health, the arts, and community development. 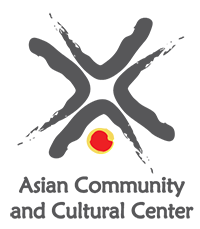 Duy Linh Bui has been working at the Asian Community & Cultural Center since 2006 under its Minority Health, Family Resources, Domestic Violence, and Senior programs. 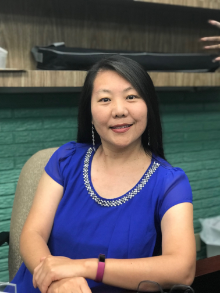 She has a bachelor's degree in Education in Vietnam, and she received her associate degree at Southest Community College in Business Information Technology in 2008. She is also a trained interpreter in the medical and community fields. She helps Vietnamese refugees and immigrants access services for basic needs such as health care, employment, and housing. 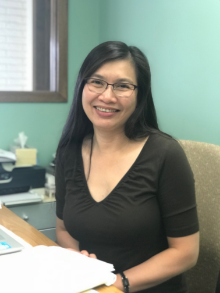 With more than 10 years of providing services to the community as a Vietnamese liaison, she has extensive knowledge and broad experiences in healthcare, legal, and social services systems. Khamisa began working at the Asian Center in 2007 primarily as the Women’s Program Manager. In this position, she runs and coordinates the Mother-Daughter Circle, which is a program that promotes healthy relationships between teenage daughters and their mothers. 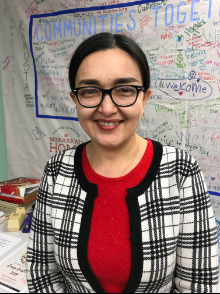 She also works as a translator for those who speak Arabic; she develops and conducts activities to promote healthy living amongst elderly refugees; and she works with a women’s group to empower and support women who are domestic violence survivors. 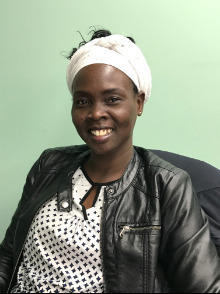 Khamisa has received training as a Domestic Violence Advocate, a Community Breastfeeding Educator through MilkWorks and a Community Health Worker. In 2013, Khamisa received her Bachelor's Degree in Psychology & Human Services from the College of Saint Mary. Lee Kreimer serves as the Family Resources Program Manager. 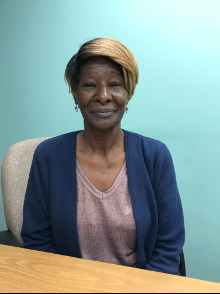 She supports community advocates at the Asian Community and Cultural Center by organizing health and wellness activities for seniors (65 and over) as well as other community education classes. 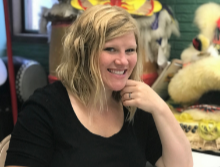 Katie teaches Citizenship to those preparing for their U.S. Naturalization Interview and coordinates an intermediate-level class on Nebraska History and American culture. She also manages ACCC's internship program and volunteers. 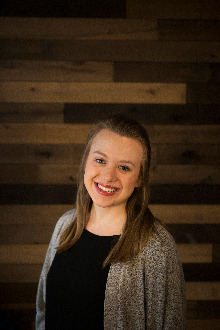 Natalie Weibelhaus is our Youth Programs Coordinator. She leads the team that serves youth in our Life After High School Program at Lincoln High and North Star High Schools. Her team also works on youth empowerment in the Youth Leadership Club at Park and Goodrich Middles Schools. 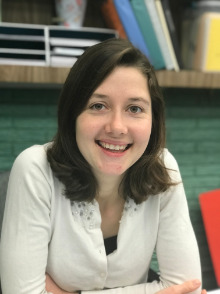 Rebecca began working at the Asian Center in April of 2014. She organizes annual cultural events hosted by the Asian Center, such as the Harvest Moon Festival and the Lunar New Year Celebration. She also gives presentations to other organizations and groups throughout the community about the Asian Center. Through her other roles at the center she educates the community on breastfeeding, educates clients on the importance of having a healthy life style, and works with women facing domestic violence issues and concerns. Rebecca is originally from China where she graduated from the Beijing Broadcasting University in 1981. She then worked at the Public Radio Station as a news announcer for 11 years before coming to America and beginning a life with her husband here in the U.S.
Lanetta (PoePoe) Edison-Soe, MSW, serves our Karen, Burmese and Thai speaking refugees and immigrants in community health, domestic violence advocacy, family resources, and our senior program. 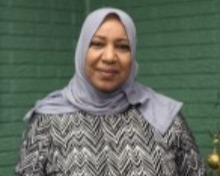 Samia serves as the Middle Eastern Advocate and helps clients as a community health worker. She does RentWise classes and provides financial education classes for women. 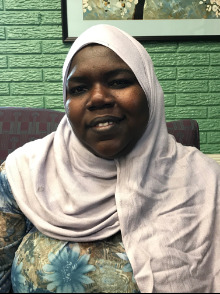 Ommohal Koko works as Sudanese Programs Assistant in women's programming. 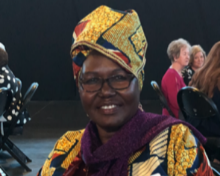 Nyabuoy Chan is a Sudanese Community Advocate at the Asian Center. She works with clients on a variety of issues including health and wellness, diabetes education, and domestic violence. She also serves Arabic-speaking senior citizens. 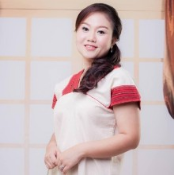 Thu Le is our Vietnamese Community Advocate. She helps clients manage their health and works in our women's program. She helps families get access to the resources that they need in the community. Erika Ashby is a licensed family therapist and manages our New American Task Force Mental Health Training grant from Community Health Endowment. 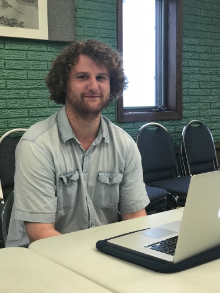 John Freeland is the Minority Health Initiative Coordinator, a project involving the Cultural Centers Coalition. He is also the data and tech specialist for the Asian Center. Donna is the receptionist at the Asian Center. She greets clients and helps to keep the office organized. In her free time, Donna loves to garden and spend time with her grandchildren. Ehtibar helps in many programs at the Asian Center. She teaches citizenship, works with youth, and many other things. She speaks Uyger, Mandarin Chinese, Turkish and a couple of other languages!